Brand impact. That’s what H-D desires. Trust and customer loyalty are the words that matter most in today’s economic market place. How’s all that brand focus working out Mr. Wandell? Check it out. According to Interbrands 11th annual ranking of the “Best Global Brands,” Harley-Davidson (#98) saw a decline of 24% in brand value!! For the first time ever, it nearly fell OFF the top 100 list of global brands. Not that surprising. Huh? If it’s a financial focus let’s contrast the H-D brand with the auto industry which has had a difficult time in this economy too. Mercedes Benz (#12) and BMW (#15) were able to sustain and build their value through innovative design and a focus on delivering premium value vehicles with luxury features. Award-winning products like the Q5 helped Audi (#63) lead industry growth this year with a 9% increase in its brand value. Even the media’s preoccupation with the Toyota (#11) recall which caused the brand to lose -16% of its brand value was handled in a way that it out performed H-D! What about other luxury brands? Even with the economic downturn, luxury brands Cartier (#77), Armani (#95), Louis Vuitton (#16), Gucci (#44), Tiffany & Co (#76) and Hermes (#69) all saw the value of their brands increase in 2010 by continuing to invest in their heritage and legendary status. Outstanding customer service and a focus on unique in-store and online experiences allowed them to stay strong, even while consumers cut back spending. 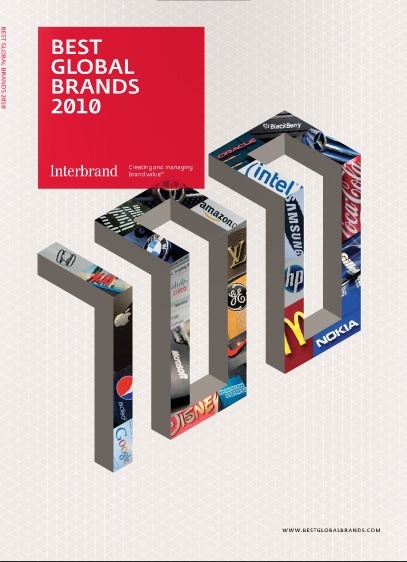 Interbrand publishes the ranking of the top 100 brands based on a unique methodology analyzing the many ways a brand touches and benefits an organization, from attracting top talent to delivering on customer expectations. Three key aspects contribute to a brand’s value; the financial performance of the branded products or services, the role of brand in the purchase decision process and the strength of the brand to continue to secure earnings for the company. The Harley-Davidson brand investment does not seem to be working. Now what?